There’s a rising wave of river surfing enthusiasts. River surfing is a fun alternative to ocean waves and an excellent option for inland surfers who live hundreds or thousands of miles away from the classic surfing waves. But beware. River surfing can be dangerous. These static, endless waves usually break in shallow waters, and over rocky bottoms, so take care before trying it. Always wear a helmet and a personal flotation device (PFD), and never embark on a solo session. You also need to make sure someone is watching your back in case of a miscalculated wipeout. But river waves hide other hazards. In some regions, you’ll find pirañas, snakes, crocodiles, trees, and debris that may turn a dream session into a nightmare. And because river surfers need strong and fast currents and rapids to ride waves, sometimes ropes can help beginner riders get used to the flow of water. Norway’s largest river showcases a fast-moving stream and a standing wave that is usually shared by kayakers and surfers. It’s a very shallow break, and it often requires a rope to make sure you reach the sweet spot safe and sound. 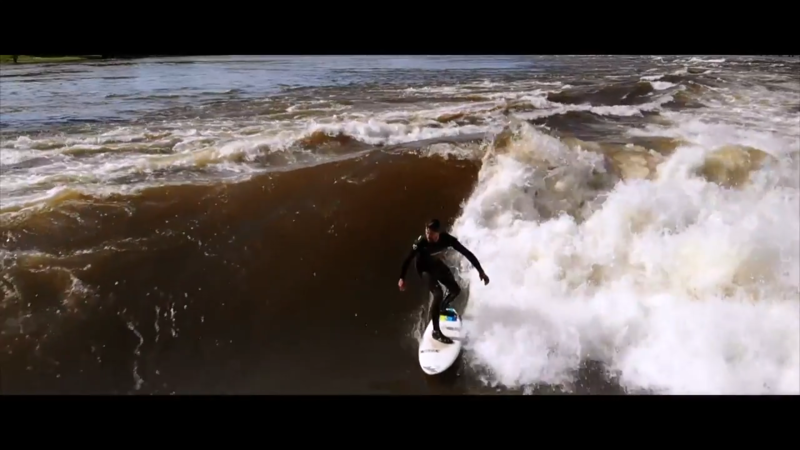 Glomma river wave is one of the world’s most popular freshwater surfing destinations, attracting an annual influx of curious surf tourists and a legion of diehard locals. On any given day – even when a layer of snow blankets the riverbanks – surfers can be seen waiting their turn to acid drop into the frigid water. In the Glomma River fishing is allowed all year around but trout are protected during spawning time in the fall. When the ice settles during winter, it provides great opportunities for ice fishing for grayling in March/April. It may be good trout and grayling fishing with lures and worms until the water level again increases and the spring floods come in May. The fly fishing usually begins around Mid-June. When the water gets hot in the summer, one often experience a period of poor fishing. 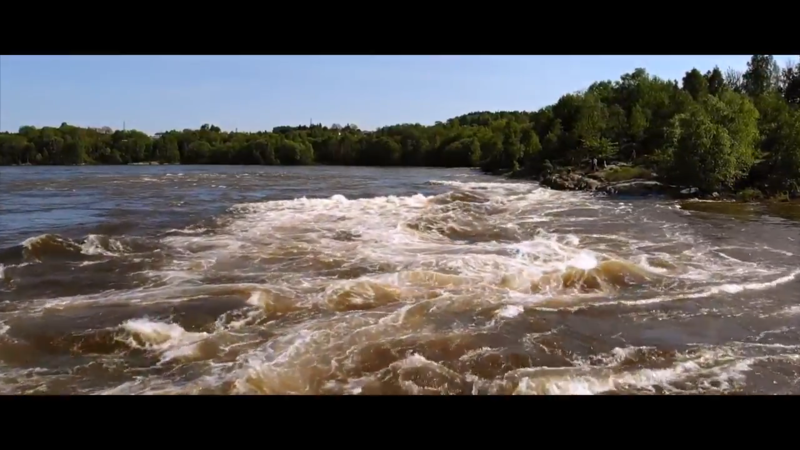 The Glomma is Norways biggest river and when these video was taken it was moving about 2100 m3 a second. It´s scary. To get out to the wave we use a waterskiing rope, about 20m long, we stand on shore, board in hand. We have to time the launch, cause water actually comes in waves in the river as well, jump on to the board and hang on wakeboard style and carve out to the wave, then comes the hard part. Letting go. One realizes very fast that the water moves even faster, it took me some faceplants before i broke the code of how to be standing in the same place of this fast moving water. 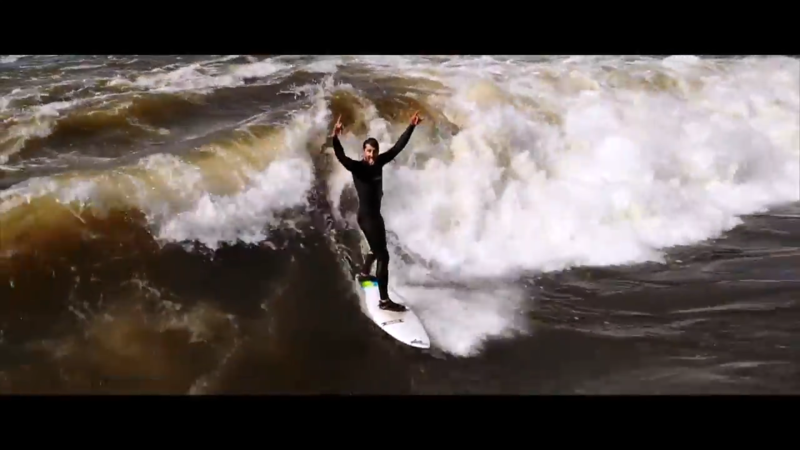 There are several types of river surfing waves. There are standing waves located in urban areas, mountain environments, tidal bores, river mouths, and in the heart of jungles. If you plan to give river surfing a go, visit the spots, talk and engage with the local wave riding communities, and experience the pleasures of inland surfing. It’s Norway, it’s cold, it’s shallow, it’s fast-moving water, and it’s perhaps one of the sketchiest traditional river waves in the game. But with more power comes more potential for blowing up. Norway's largest river showcases a fast-moving stream and a standing wave that is usually shared by kayakers and surfers. It's a very shallow break, and it often requires a rope to make sure you reach the sweet spot safe and sound. 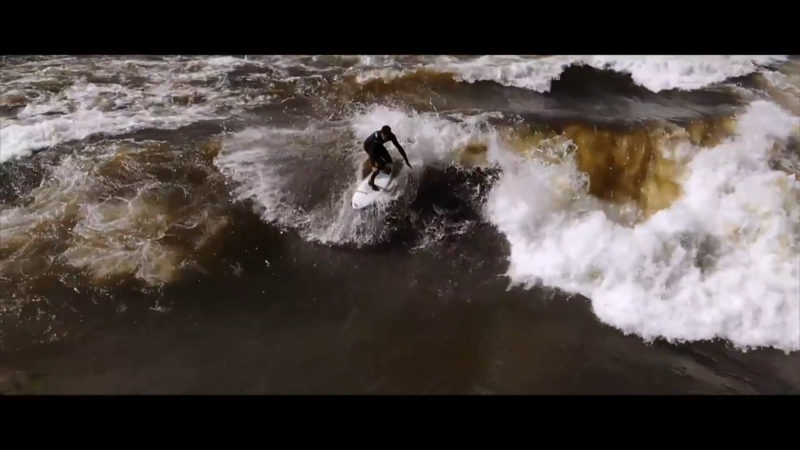 Elvesurf Glomma er fett, tusen takk for bra filming og klipping! Du er jo helt rå!! 🙂 Flott filming.